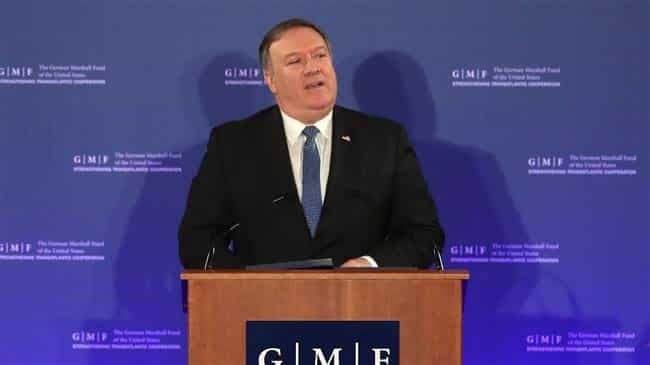 [ Editor’s Note: This has got to be the stupidest, most irresponsible address ever made by an American Secretary of State; and it is no surprise that Captain Pompeo lowered the bar to this new level. General Powell was sandbagged with bad info, so his does not count. But he just confirmed everything that VT has been editorializing about the sociopaths that have taken over leadership positions in our government with the assistance of helpful election influencers, the ones that have been around for a long time, whose fannies Congress lines up to kiss when they come to town. There has not been a real leader in America for 80 years or more. Trumps puppet masters are the worst of the worse. No doubt, the etablishment, if it still exists, will fawn over him when trumpo kicks the bucket. Too true, Hammy. I couldn’t agree more.